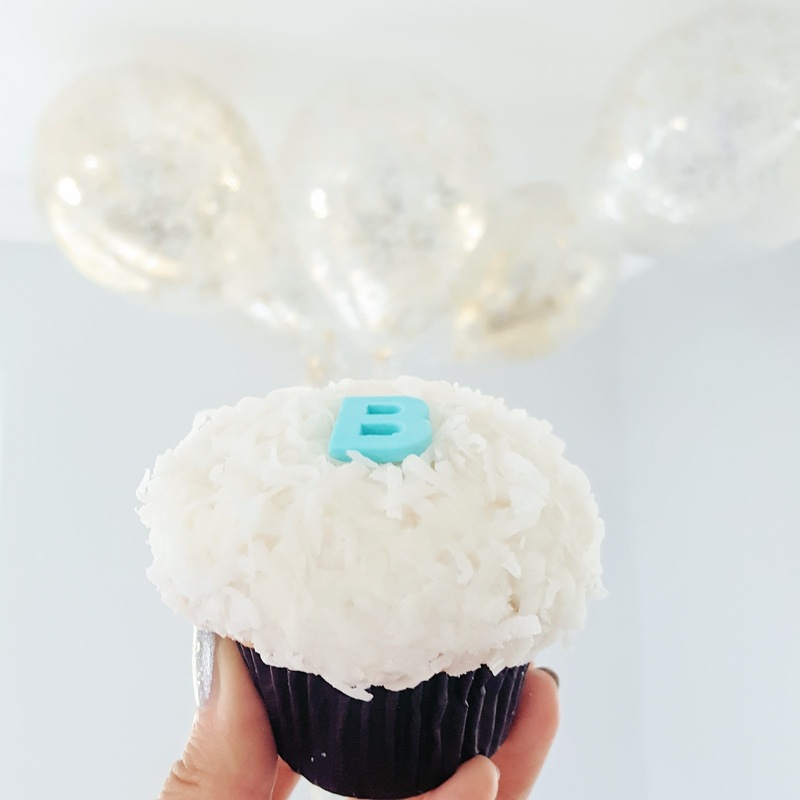 Baby shower sweets and a visit to my favorite Taiwanese restaurant in this week's food diary! 12pm: A super bowl yogurt with frozen berries, sliced banana, hemp seed, flaxseed, coconut flakes, and granola. 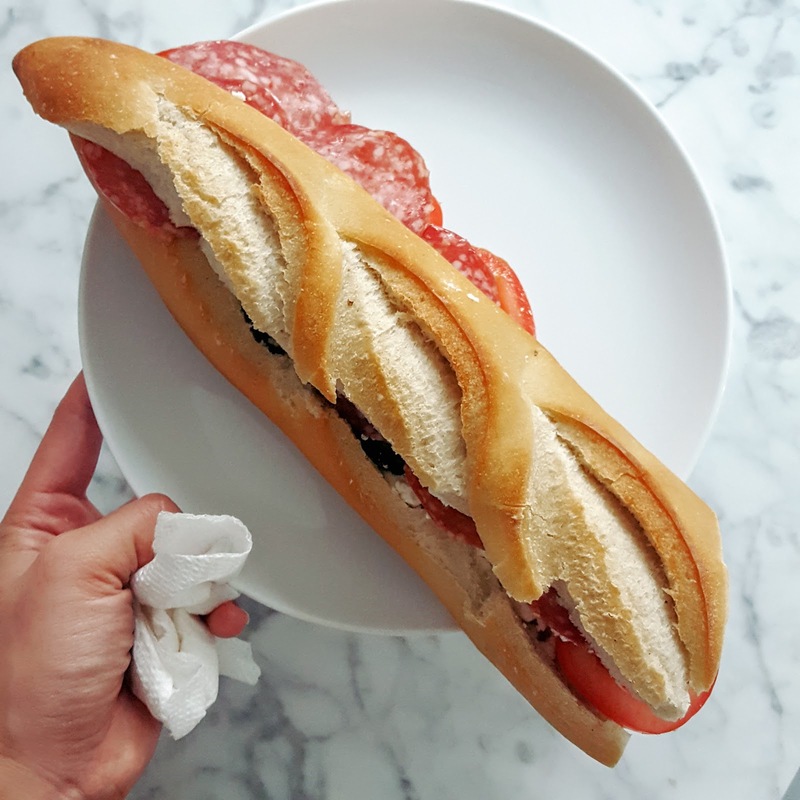 6pm: I make myself a salami, goat cheese, cucumber, and tomato sandwich with the leftover French bread from yesterday. 8pm: A handful of Whole Foods cheese curls that taste like wet socks and half of a banana. Listen learned. If I'm going to splurge on junk food, go for the gold like Cheetos Cheese Puffs. 1pm: Same super bowl as yesterday. 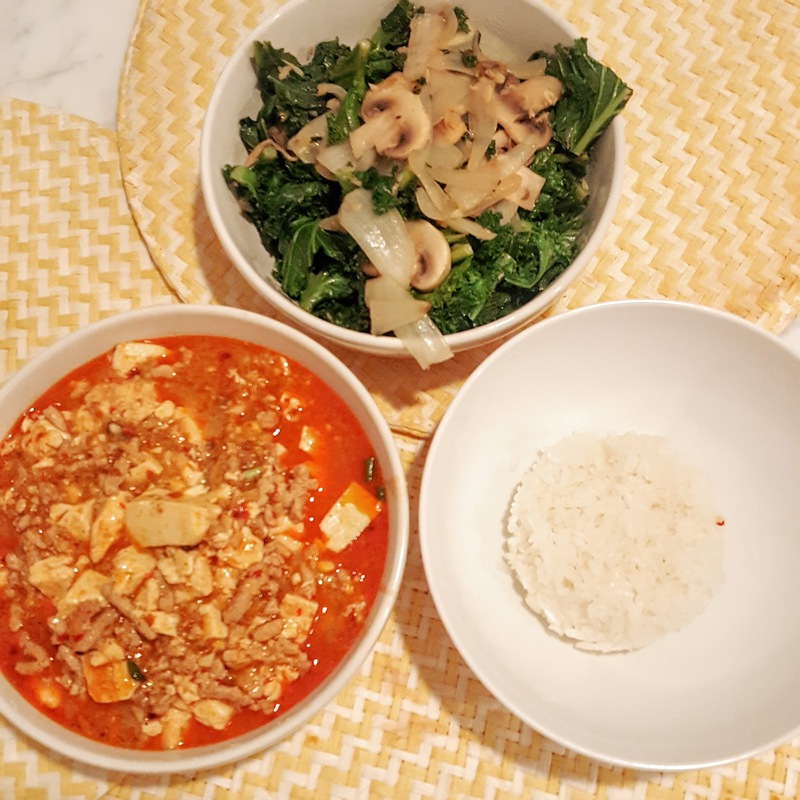 7pm: Homemade mapo tofu and sauteed kale with onions and mushrooms with a side of rice. 10pm: A slice of banana bread and some grapes. 12pm: Another yogurt super bowl. 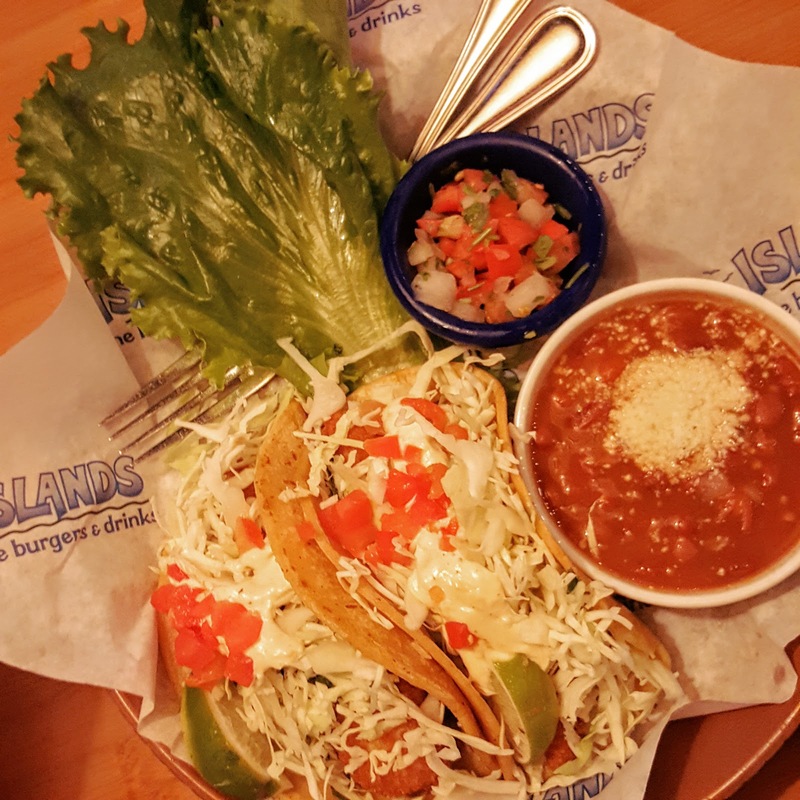 7pm: Fish tacos with a side of cheese fries from Island's in Sherman Oaks. In high school, I used to get their cheese fries all the time as the fries are crispy and the cheese so stringy. But a whole plate of cheese fries seems so wrong now that I don't have my teenage metabolism. The fish tacos are actually really good and I can't wait to come back and get this combo again. 11am: I've been craving porridge so I make a batch in my slow cooker. It has mung beans, black rice, and steel cut oats with just a little bit of sugar. 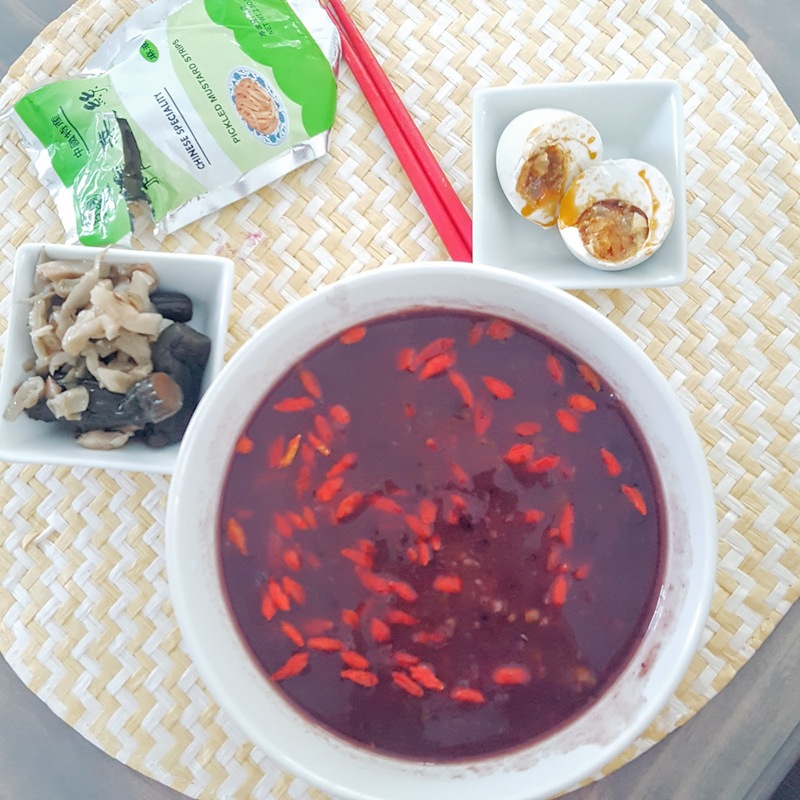 I add some goji berries and eat it with Chinese pickles and a salty duck egg. 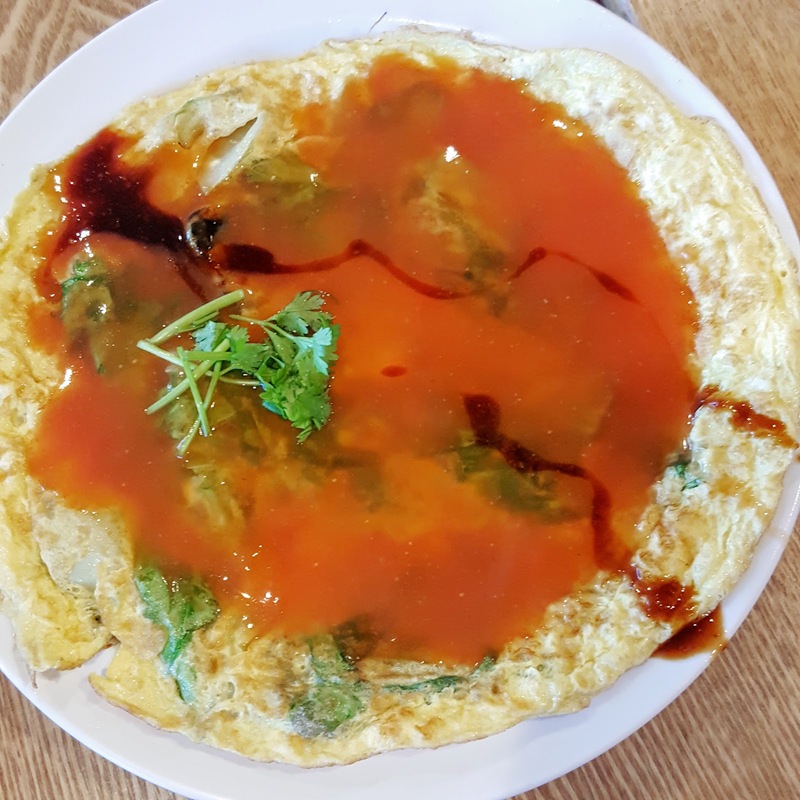 This is a typical Shanghainese breakfast and reminds me of my childhood. 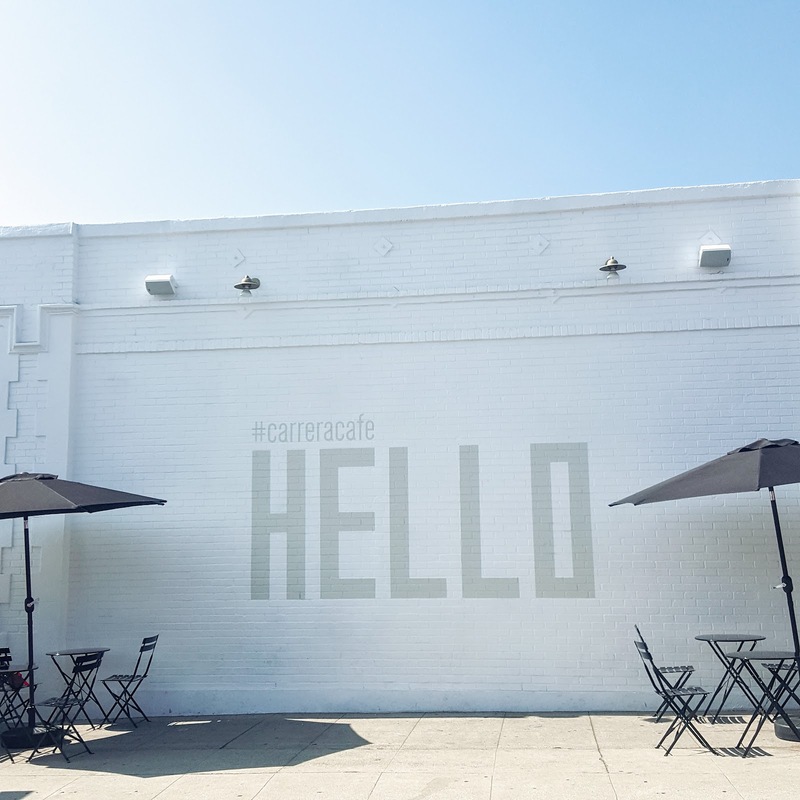 3pm: Coffee at Carrera Cafe, a new Instagram friendly coffee shop on Melrose with a strong Americano. 7pm: I make oyakadon, a chicken and egg Japanese rice bowl staple that literally translates into "the whole family." The easy recipe from AllRecipes turns out great and I can't wait to make it again soon. 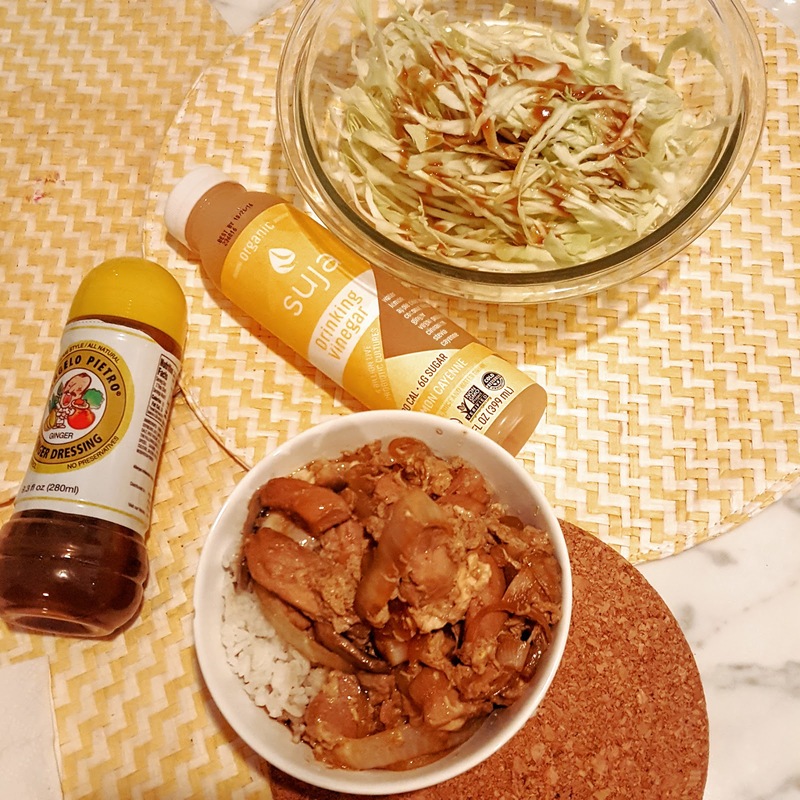 I have it with a side of cabbage salad and some suja drinking vinegar. 12pm: Porridge with Chinese pickles and hard boiled eggs. 4pm: Persimmon with a few pieces of Manchego cheese. 10pm: A late dinner at Hoy Ka after checking out our favorite improv team at UCB. I get a small spareribs noodle soup and share the BBQ pork with rice and papaya salad. By bedtime, I'm still feeling stuffed and make a mental note to not eat so late anymore. 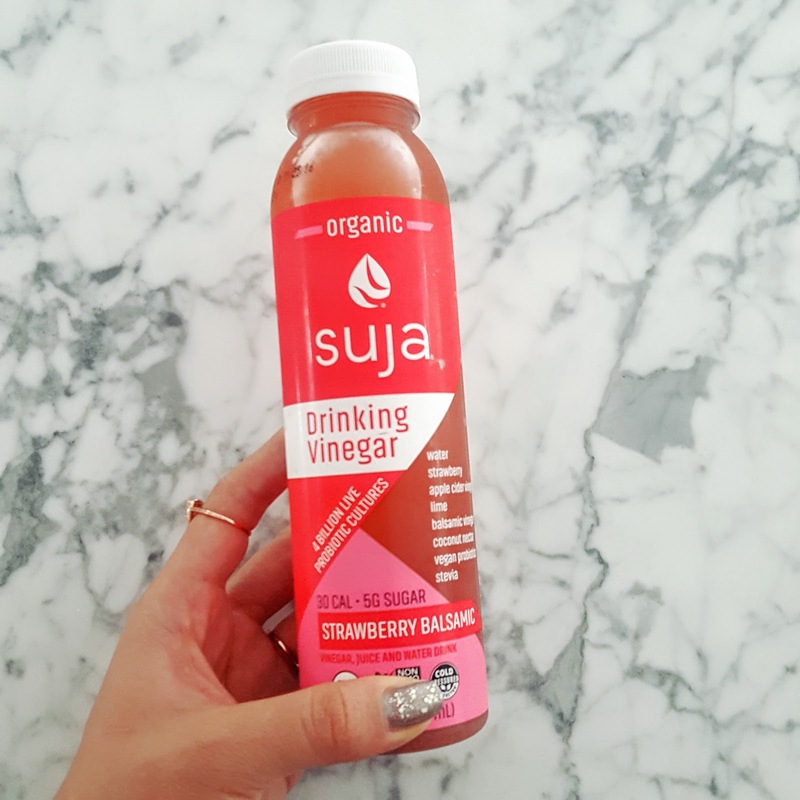 10am: A bottle of Suja drinking vinegar in strawberry balsamic. It's not as good as kombucha but I do like the mild strawberry flavor. 12pm: A bowl of sticky rice and mung bean porridge and two hard boiled eggs. 5pm: We have an early dinner at Sinbala in Arcadia, my favorite Taiwanese restaurant. 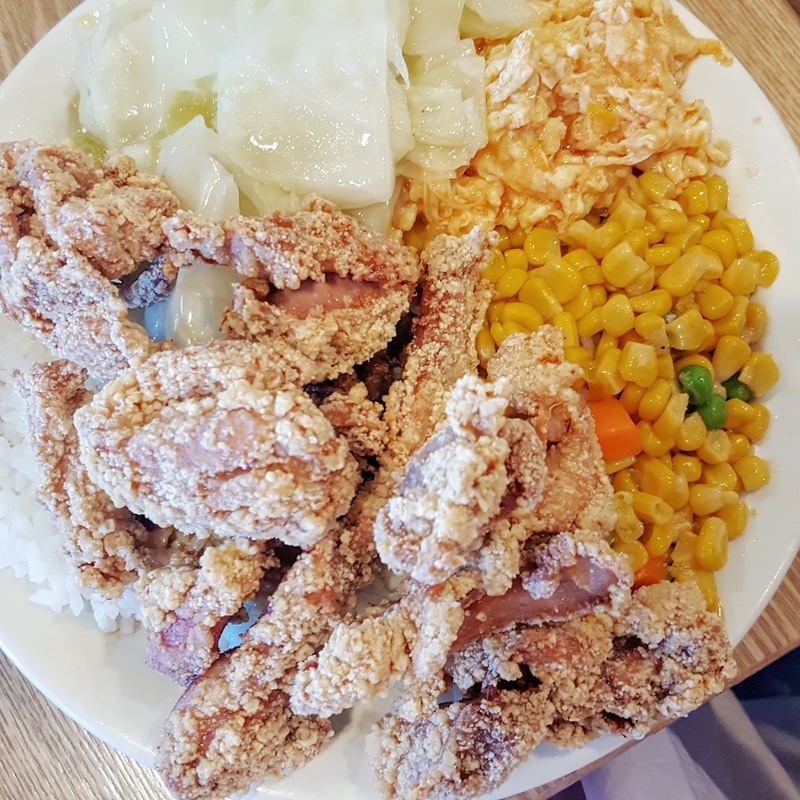 I get the fried chicken leg rice plate with a side of oyster omelette and red bean slushie. 12pm: It's our baby shower! Playing hostess to fifty of our friends and family inevitably means forgetting to eat so M comes over to remind me from time to time. 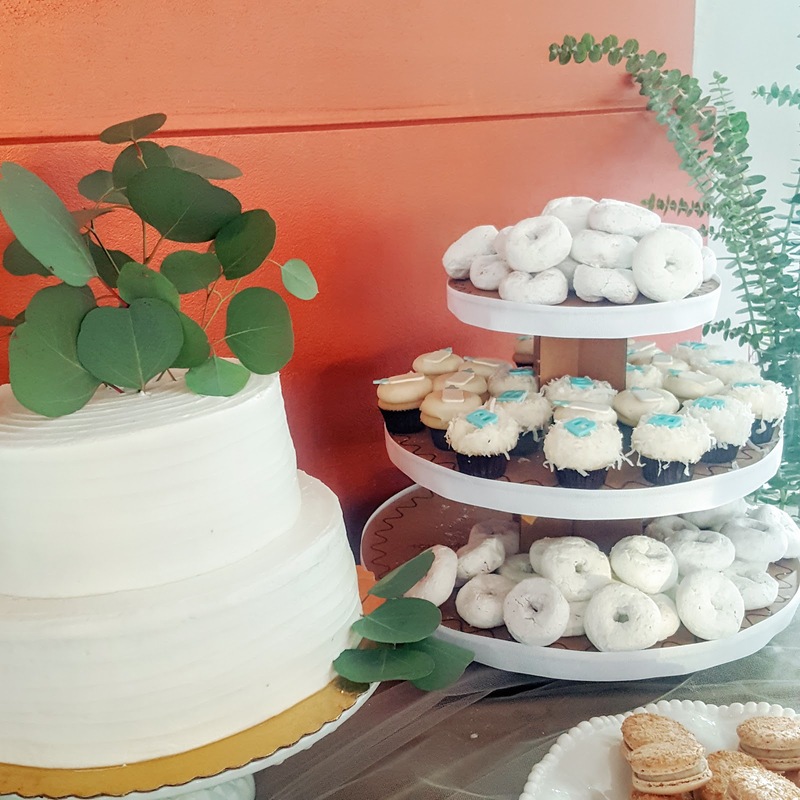 I have a few bites of our delicious Crateful catering, a mini Sprinkles cupcake, and two 'lette macarons. 7pm: Famished and exhausted, I veg out at Souplantation and eat way more than I should. 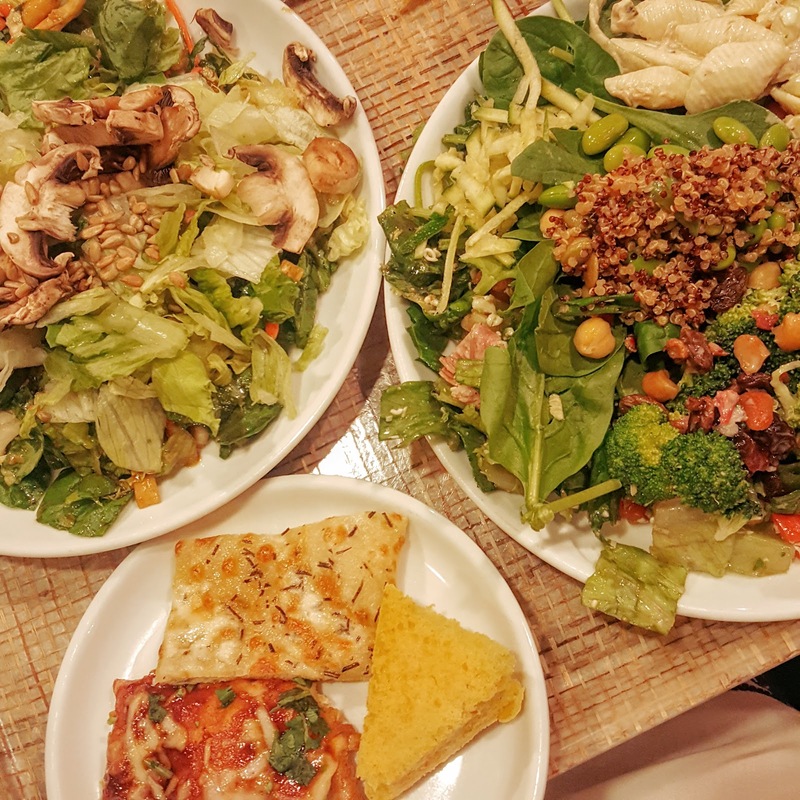 But it's just salad, right? 10pm: M and I share a bag of kettle corn and I can barely keep my eyes open while watching Westworld.